The southeastern island of Pediatorkope is one of rural Ghana’s poorest places, with most people living from farming mussels on the Volta River. But despite being cut off from the national grid, Pediatorkope is relatively well-off compared to the capital Accra and the rest of the country when it comes to power. How? It uses the natural energy of children to generate enough electricity to power lanterns every time they use specially adapted roundabouts. 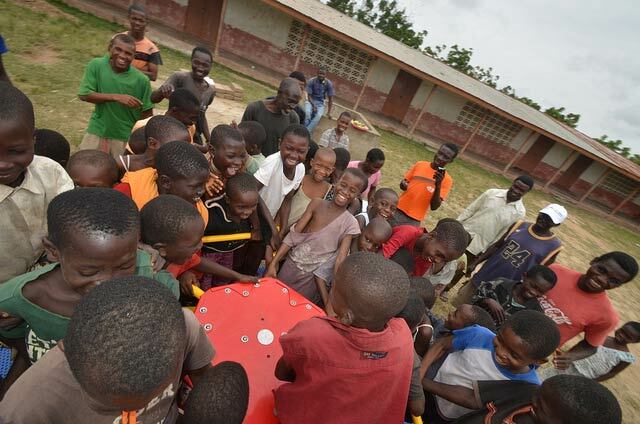 When children play on the equipment at the Pediatorkope Basic School, their effort turns a turbine connected to a rechargeable battery that powers LED lanterns. Kuadegbeku said the scheme – the brainchild of US-based charity Empower Playgrounds Incorporated – has been a success, allowing children to study at home, when previously it was impossible for lack of electricity. “Formerly the performance of the children in the school was very low,” he told AFP. Ghana is in the throes of a crippling energy crisis, which is slowing down economic activity and raising fears about its effect on the emerging economy’s overall development. Most homes receive electricity for 12 hours but can then be without power for the next 24. The government, criticised for failing to maintain economic growth after the country began commercial oil production in 2010, recently signed new contracts with external power suppliers. While Ghanaians wait for those new facilities to begin producing power, demand for generators is increasing. 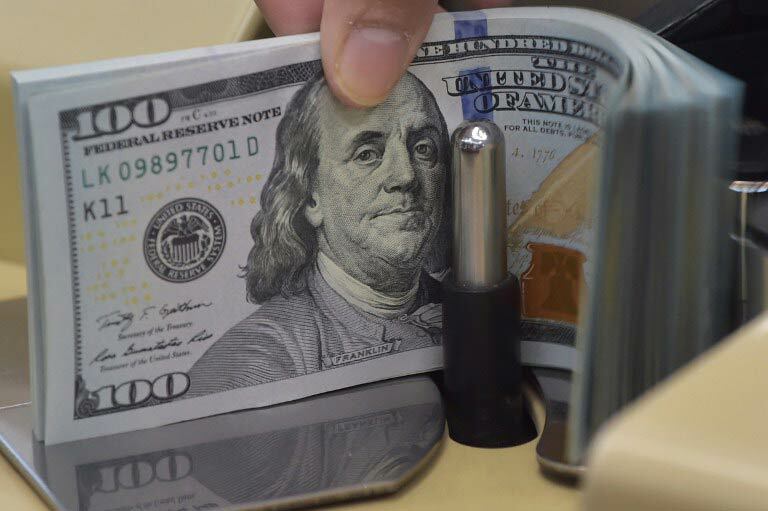 Some businesses have threatened to leave the country for places with more regular supply. Others said they are being forced to downsize their workforce. The main opposition New Patriotic Party (NPP) and its supporters last month took to the streets, claiming that President John Dramani Mahama has crippled business by not resolving the problem. “If you are running a factory and you have to power a generator before you can produce, then there’s a real problem,” said Isaac Osei, an opposition member of parliament. If the situation is acute in cities such as Accra, then it is even worse in rural areas, with schoolchildren among the hardest hit by the lack of electricity. George Thompson, the project manager at Empower Playgrounds Inc., said the system was helping to improve the chances of rural children continuing their education beyond junior school. “So far we’re in 42 schools and what we do is that any school that has… junior high, we assess them by their final year examinations,” he said. “It has really brought improvement in the lives of these children’s education. A separate scheme using solar power is also running on the island, where residents pay 500 cedis (about $150) to buy a battery, which is recharged by the sun via roof panels at a “charging station”. Local man Humphrey Teye Ayeh said he decided to enrol because of the increasing cost of kerosene previously used to provide light. The sustainable energy system – which can be used to power electrical devices such as mobile phones – has got people more connected, he said. For Thompson, the decision to come to Pediatorkope made sense because it would take time for the island to get onto the national grid. “We thought it wise to come to this island and ensure that the people in this community also have a little life here,” he said. Hot on the heels of the successful web series An African City in which she plays a leading role, actress and director Nana Mensah brings us her first independent feature film, Queen of Glory, about a Ghanaian-American PhD student who inherits her deceased mother’s Christian bookstore in The Bronx, NY. Nana took the time to talk to Valérie Bah about her latest project, gendered expectations, West African investment in the arts, and the perks of having creative control. Queen of Glory has an intriguing plotline. I understand that you drew a link to Lena Dunham’s project, Girls, about being young, having a “quarter-life crisis,” and finding oneself in New York City? Nana Mensah: Sure, but I think the Lena Dunham connection is closer to her independent film, Tiny Furniture (2010), which led up to Girls. Tiny Furniture was a film of a comparable budget, which basically explored that quarter-life crisis idea. My character is a prodigy, a PhD candidate named Sara Obeng, who is looking to leave her research to marry her former lover and married professor to Ohio when her mother suddenly dies and leaves her Christian bookstore in a neighborhood where she grew up – they call it “Little Ghana,” the Pelham Parkway neighborhood in The Bronx, which is steeped in West African tradition. The project centers on her return home and depicts all the things that come with that; seeing family and getting everything together. Are you then looking at drawing more of an audience within the African diaspora? NM: Well, we are focusing primarily at an American market, with an American distributor. So, we’re looking at a diaspora audience, but also white people who go to see independent films. We’re not speaking only in terms that a diaspora can understand. The hope is that anybody who’s had to return home in a time of crisis will be able to understand it. Generationally speaking, that taps into the concern experienced by millennials, who may not have the resources to start off their lives as the Baby Boomers did; buying a house, finding employment, etc. NM: Sure, I mean, she’s a PhD student, so struggling financially, though her return home is brought on by her mother’s death. But yes, she’s also very much struggling in every way. She has a boatload of intellectual capital, but very little capital capital. And how much of you is there in this Sara Obeng character? NM: Oh gosh, no. Not much at all. She’s actually completely fictional. I just have a BA, I don’t have a masters from anywhere. My mother is still alive and well, though she is a small business owner, but she doesn’t own a Christian bookstore. My parents are religious, but certainly not Evangelical or anything of that nature. There’s a commonality, I would say, in terms of the general experience – and I was definitely not having an affair with my university professor [laughter] – in terms of the understanding of having parents from the “Old Country,” with a different value system. There’s a fracture, especially for African women because our parents, unlike a lot of other recent immigrants, our parents really pushed us, and I’m speaking in mass generalities here, but our parents really pushed us as women to succeed, they push us to the best universities, the best experiences. We are told that we can do anything and everything, but, we must have hot jollof on the stove by the time we get home [laughter]. Here’s one thing that strikes me – the fact that you talk about the high expectations for second generation African women. In a TEDx talk, you mentioned that within the African diaspora, there’s this sense that you can do anything, you can be anything, but the arts and culture are considered off-limits and may not be promoted as a viable career. Can you elaborate on that? NM: I think that that’s a place that we have yet to go to as a people, at least Ghanaians. I think we really respect people with professional degrees; doctors, lawyers, and investment bankers. I think that because we have not yet had a burgeoning middle class, the arts do not factor in yet. How can you focus on art and portray the human experience en masse when people are hungry, and there’s no infrastructure? Art, in some ways, can be viewed as a luxury. I think of it as a necessity, but I recognise that in the face of hunger or political unrest or civil war, it’s difficult to say that art is paramount. Especially in Ghana, now that we have had a certain number of political changeovers, without any unrest, we have become a shining star in West Africa in terms of stability. Mind you, we’ve come upon some hard times recently, but ultimately, it’s a very stable country, ripe for investment and you are seeing the development of a middle class with new foreign businesses coming in. I think in the next 10-15 years, what we’re going to see is a culture that’s already very heavily steeped in artistic traditions. I mean, Ghanaian carvings, weaving, the Kente cloth, and whatnot, those things are almost synonymous with Africa as a whole. I think as we get a more solid middle class, the arts will become a voice for us to tell our stories. If I may use the example of An African City, a lot of people gripe that it doesn’t portray everybody’s experience, but that’s the thing, we are not a monolith. You’re a well-known face from other projects, such as An African City and Love or something like that (2014), are you switching one for the other? NM: Not at all. Much like Lena Dunham and Mindy Kaling, I would love to have a versatile approach and be able to wear these different hats – producer, director, writer, actor – and I’m not a megalomaniac [laughter], I just want to be responsible for the stories I’m telling. I’ve been on other people’s sets; I’ve been on my own set. It is so stressful to wear hats, but also rewarding because any mistake is yours. If something goes wrong, it’s on me, and I like that responsibility. That, rather than being the star of somebody else’s project who didn’t think it through or have the artistic sensibilities that I do. There’s nothing worse than sitting in a premiere and thinking, “Oh my god.” I don’t want to do that. So, the more control, the better. Even being a writer and making sure that the words sounds true and flow easily out of an actor’s mouth. So, I’m not necessarily saying that I’m excellent at all of these things, but I certainly like doing them. And I also see the burden of being a black woman doing these things, because there’s so few of us. And I shall do as I please until I don’t want to do it anymore. It seems like this type of responsibility is good news for other black women looking for projects or stories that might not be told the same way by a white writer or producer. NM: And a male producer or director. In a lot of the stories that I see, the women are defined by their relationship to a man. They are somebody’s girlfriend or somebody’s wife, the object of a male’s affection. That is how they are defined. I’m really interested in pushing forward a dialogue that doesn’t have to do with that. A perfect example is the movie Wild (2014), starring Reese Witherspoon and based on the memoir by Cheryl Strayed, coming out in the States. First of all, the film is revolutionary because you see a woman onscreen doing her own thing. She’s not anybody’s wife or daughter. Her mother just died. She’s only owned by herself. That is already a huge step for feminism in the media. But then, somebody made the very astute point about what if that role had been cast as a black woman, a former drug addict who gets to hike the Pacific Coat Trail. Black women never get to tell that kind of story. It’s very rare for a black woman to be doing that type of role – imagine Taraji P. Henson in that role instead of Reese Witherspoon? You realise that there are some limitations to the kinds of roles that black women are allowed to tell, and it’s kind of mind-blowing. So we need to broaden the spectrum so that something like that wouldn’t be far-fetched. An interesting exercise would be to look at this year’s past releases, to see whether they pass the Bechdel Test*, or even the Black Bechdel Test**? ** Black Bechdel Test: Similarly to the Bechdel Test, asking if a work of fiction features two black people who talk to each other about something other than a white person. Around 200 Ghanaians have requested asylum after travelling to Brazil to watch the World Cup, with officials expecting hundreds more to do so once the tournament ends. Fans who travelled to see the Black Stars said they were Muslims “fleeing the violent conflicts between different Muslim groups”, police chief Noerci da Silva Melo told the news agency Agencia Brasil. Ghana, one of Africa’s most peaceful countries, has no recorded conflict among a population that is about two-thirds Christian. Many of the asylum-seekers have taken shelter in a local Catholic seminary, which is helping them prepare official documents. But dozens arriving daily in Brazil’s affluent southern states of Sao Paulo, Santa Catarina and Rio Grande do Sul – all several hundred miles south of the venues where the Ghanaian team played – had hoped to find work, Da Silva Melo said. The majority of the arrivals said they were victims of an illegal ring who had demanded payment after luring them with false promises of work, said police investigator Vinícius Possamai Della. “The majority of them arrived with only the clothes on their backs and no money. Some of them have taken to sleeping in the city’s bus park,” the journalist Flavio Ilha of O Globo newspaper said. A Catholic seminary, the Centro de Atendimento ao Migrante, has been receiving food and clothes donations after taking in 219 Ghanaians, two of them women, the centre’s director said. The asylum-seekers “faced life-threatening situations back home. They feel they can find work and better living conditions in Brazil,” the centre’s director Vanessa Perini Moojen told the Associated Press. The Brazilian justice ministry will decide whether to grant their requests and in the meantime, they are allowed to work and circulate in the country. An official delegation of 650 fans went to Brazil to support the Black Stars, but police said they are expecting a further 1 000 Ghanaians to request refugee status in the next week. 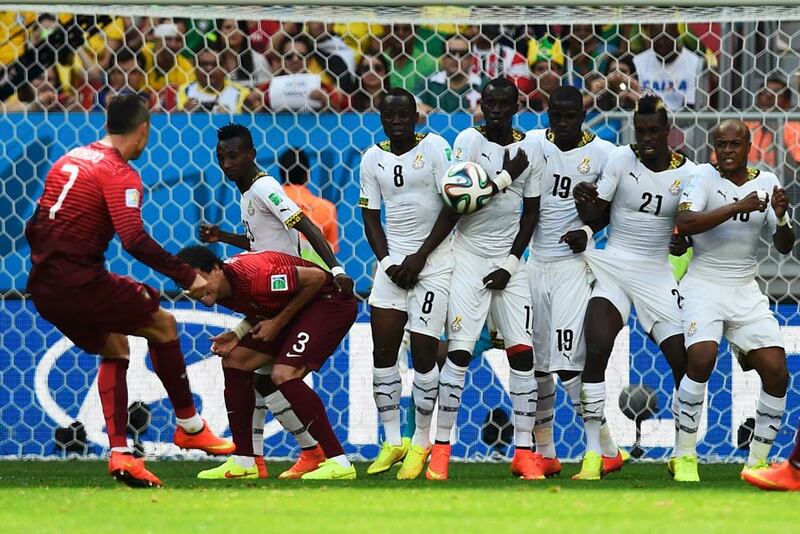 Ghana’s foray into the Cup was beset by off-pitch woes. President John Dramani Mahama was forced to fly a plane with $3-million in cash to Brasilia after players threatened to boycott a match against Portugal. Defender John Boye, who later scored an own goal in a game the team lost 2–1, was captured on television kissing wads of cash delivered under armed guard to the players’ hotel. Following a failure to make it past the group stages, the team is now under investigation after allegations of match-fixing. In past international sporting events, athletes from the continent have sometimes disappeared in their host country. During London’s 2012 Olympics, seven Cameroonian athletes went missing, as did an Ethiopian torchbearer. “You cannot blame them at all. No matter how much they decry it, a lot of our African officials would do the same thing given the first opportunity,” Ghanaian Martin Asamoah said from the capital, Accra. The Ghana government on Wednesday airlifted more than three million dollars in cash to Brazil to stop protests by players ahead of their crunch game against Portugal. Speaking after a player meeting Wednesday, midfielder Christian Atsu said there was no question of any fallout from the financial dispute on Thursday’s game which Ghana must win to maintain any chance of qualifying for the second round. The team ended their protests after President John Dramani Mahama personally assured them that he would send a chartered plane with the promised amount, more than $3 million, Atsu said. 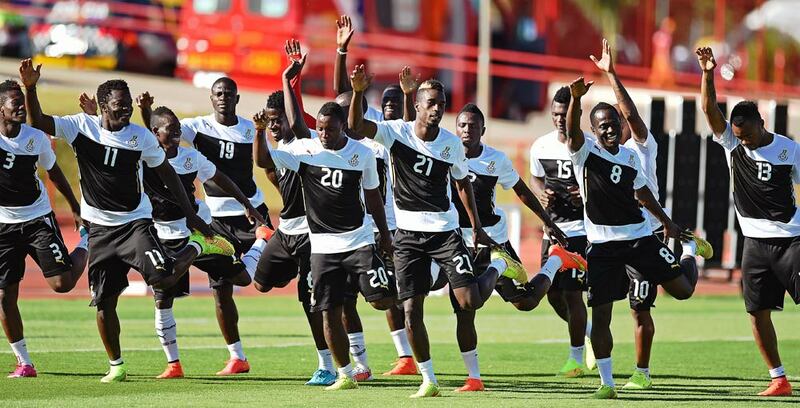 “We love our country and we will play,” said Atsu, who with team-mates boycotted Monday’s training session. Ghana coach Kwesi Appiah, whose side must beat Portugal and hope either the United States or Germany inflict a heavy defeat on the other so they go through on goal difference, said he was relieved the government had intervened. “The president has intervened. That is a good thing, the government took matters in hand,” Appiah told a pre-match press conference. “The money should arrive in a few hours as the plane took off some time ago,” he added. Because of the bonus row, the team only arrived in Brasilia late on Wednesday and missed training. Appiah, who has been coach since 2012, explained the bonuses should have been paid before the finals where the Black Stars had been hoping to repeat their 2010 exploit in reaching the quarter-finals. “Our habit is to pay the players in cash because not all the players have bank accounts in Ghana. “I am not saying that is the best way to do things but one has to understand in Africa things are done differently to Europe,” said Appiah. Bonuses also caused a furore in the Cameroon camp with the players delaying their flight to Brazil until cash promises were made.